During the Cold War, the United States based the EF-111A/F-111E & F-111F with the 20th & 48th TFW in the United Kingdom. 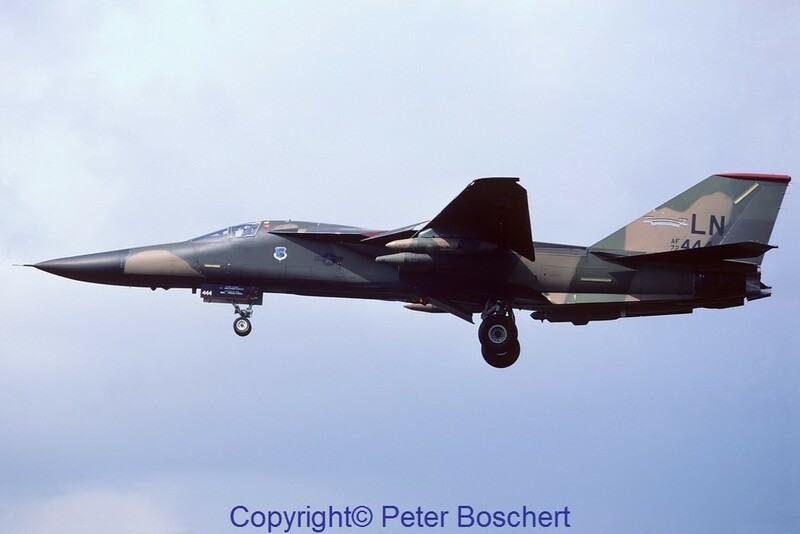 While the 20th TFW received the F-111E and later the EF-111A Raven, the 48th TFW was equipped with the F-111F. The F-111E was a simplified, interim variant ordered after the F-111D was delayed. The F-111E used the Triple Plow II intakes, but retained the F-111A’s TF30-P-3 engines and Mark I avionics. The weapon stores management system was improved and other small changes made. The F-111F was the final F-111 variant produced for Tactical Air Command, with a modern, but less expensive, Mark IIB avionics system. 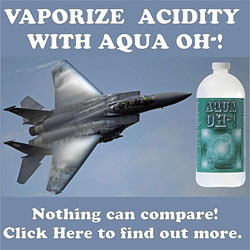 The USAF approved development of the variant in 1969. 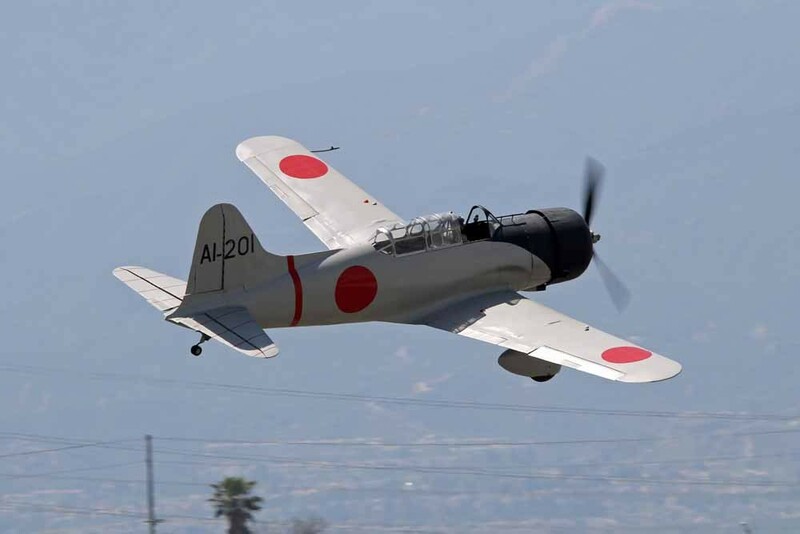 It also included the more powerful TF30-P-100 engine and strengthened wing carry through box. 106 were produced between 1970 and 1976. 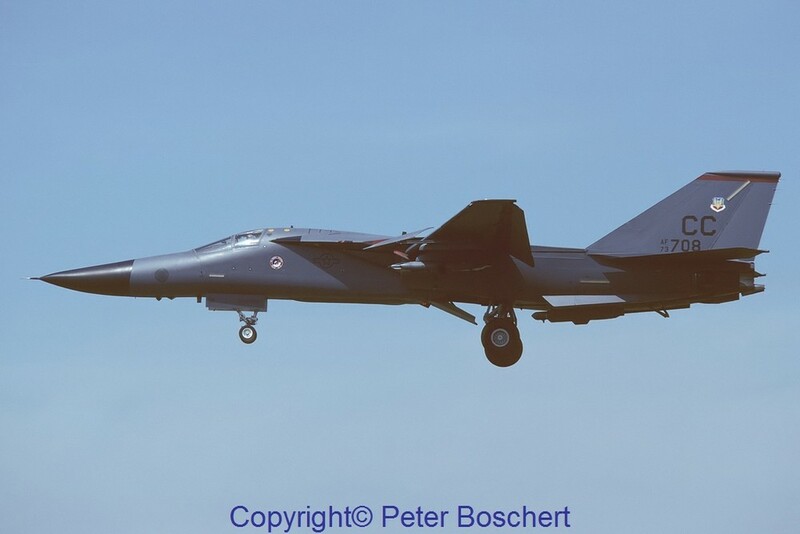 The F-111F’s Mark IIB avionics suite used a simplified version of the FB-111A’s radar, the AN/APQ-144, lacking some of the strategic bomber’s operating modes but adding a new 2.5 mi (4.0 km) display ring. Although it was tested with digital moving-target indicator (MTI) capacity, it was not used in production sets. The Mark IIB avionics combined some Mark II components with FB-111A components, such as the AN/APQ-146 terrain-following radar. 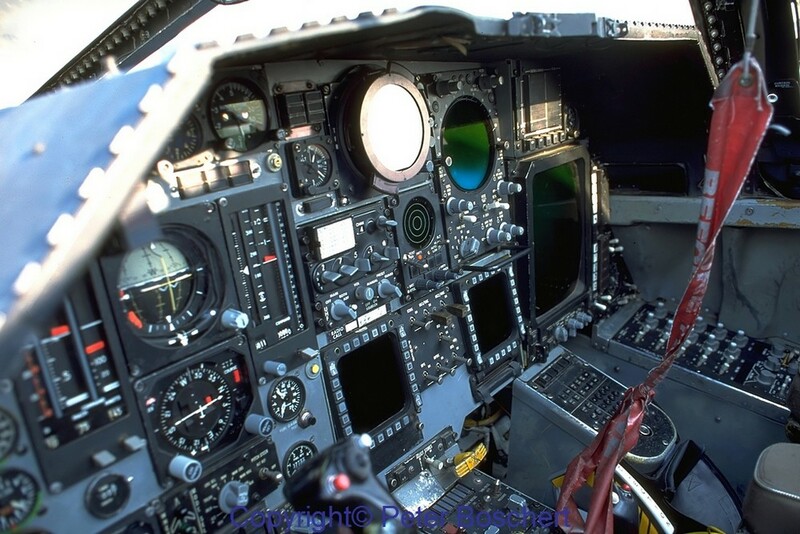 The F-111E’s weapon management system was also included. 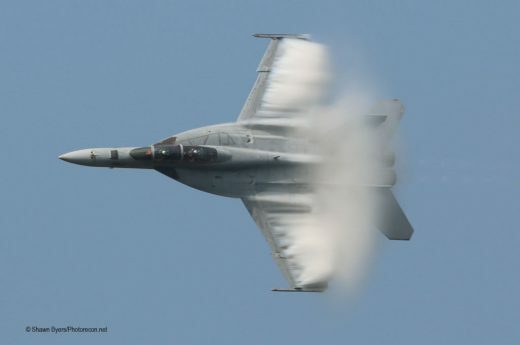 The F-model used the Triple Plow II intakes, along with the substantially more powerful TF30-P-100 turbofan with 25,100 lb (112 kN) afterburning thrust, 35% more thrust than the F-111A and E. An adjustable engine nozzle was added to decrease drag. The P-100 engine greatly improved the F-111F’s performance. The engines were upgraded to the TF30-P-109 version, later in the 1985–86 timeframe. 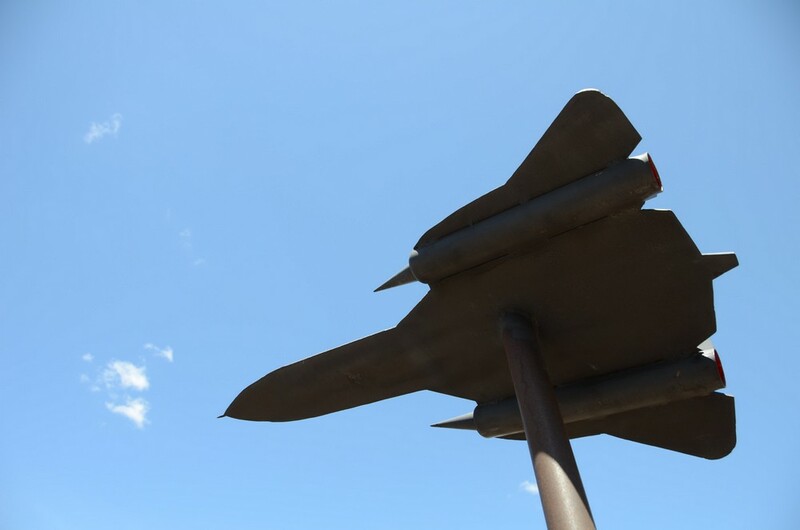 In the early 1980s, the F-111F began to be equipped with the AVQ-26 Pave Tack forward looking infrared (FLIR) and laser designator system, which provided for the delivery of precision laser-guided munitions and was mounted in the internal weapons bay. 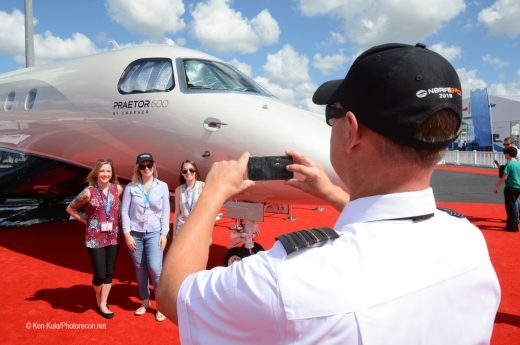 The Pacer Strike avionics update program replaced analog equipment with new digital equipment and multi-function displays. The E-model was first ordered in 1968 and delivered from 1969-71. It achieved initial operational capability in 1969. The variant’s first flight occurred on 20 August 1969. 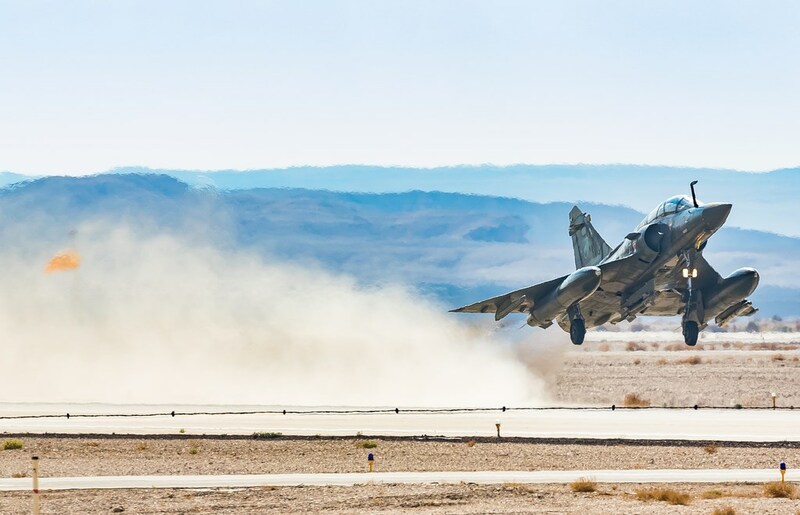 94 F-111Es were built. 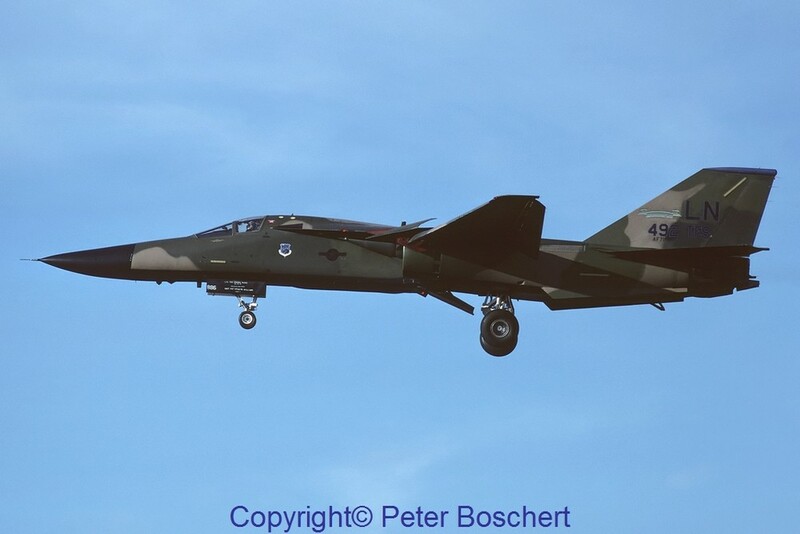 Some F-111Es were based in the UK until 1991. 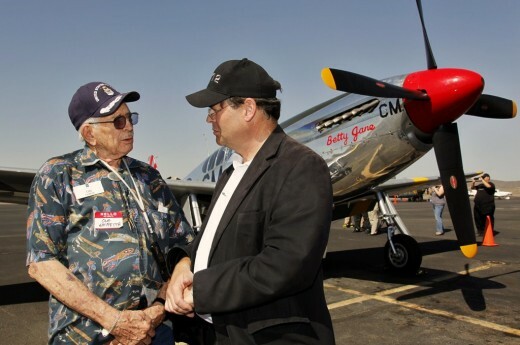 The avionics were upgraded on some E-models as part of an Avionics Modernization Program. The variant served in 1990-91 during the Gulf War. 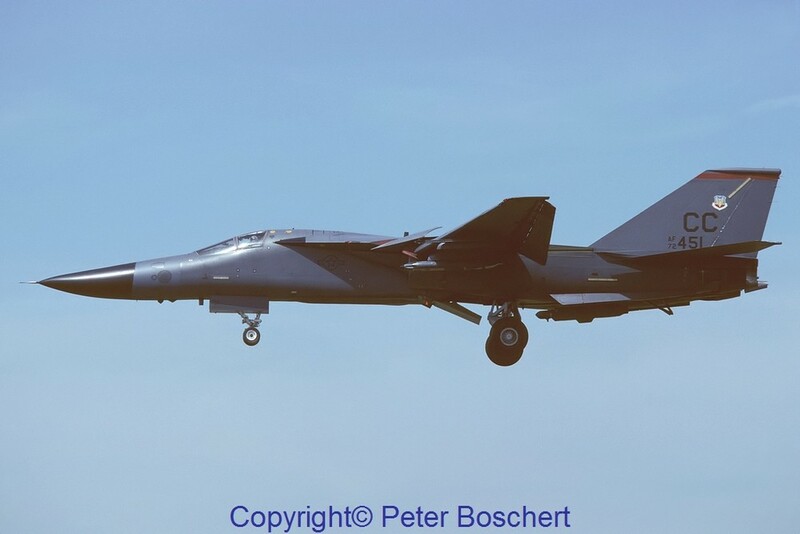 Some F-111Es received improved TF30-P-109 engines in the early 1990s. 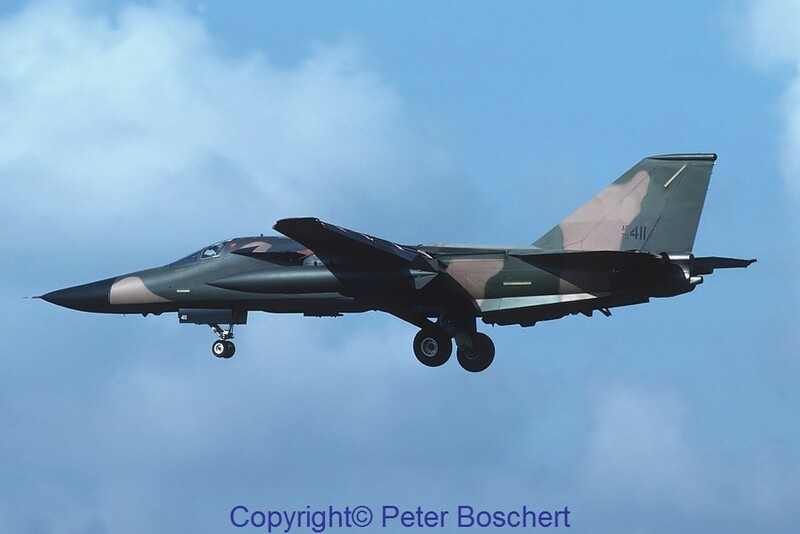 All F-111Es were retired to AMARC by 1995. The first F-111E landed at RAF Upper Heyford in September 1970. 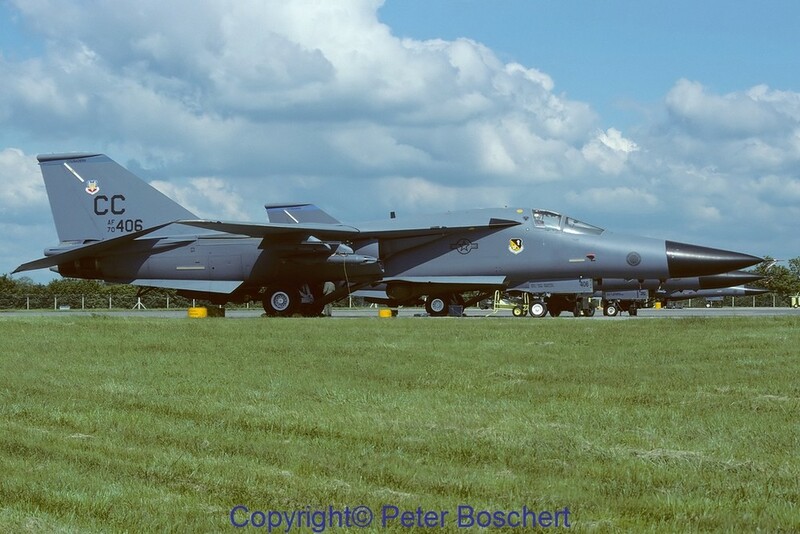 At Upper Heyford were based three squadrons with the F-111E, later also the EF-111As of the at Sembach AB in June 1985 activated 42nd ECS. 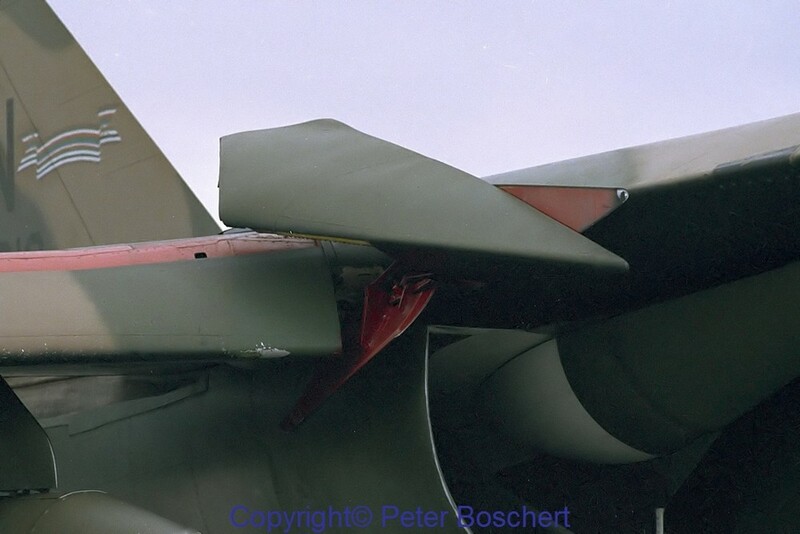 For easier maintenance, the EF-111As were based not in Sembach AB but at RAF Upper Heyford. 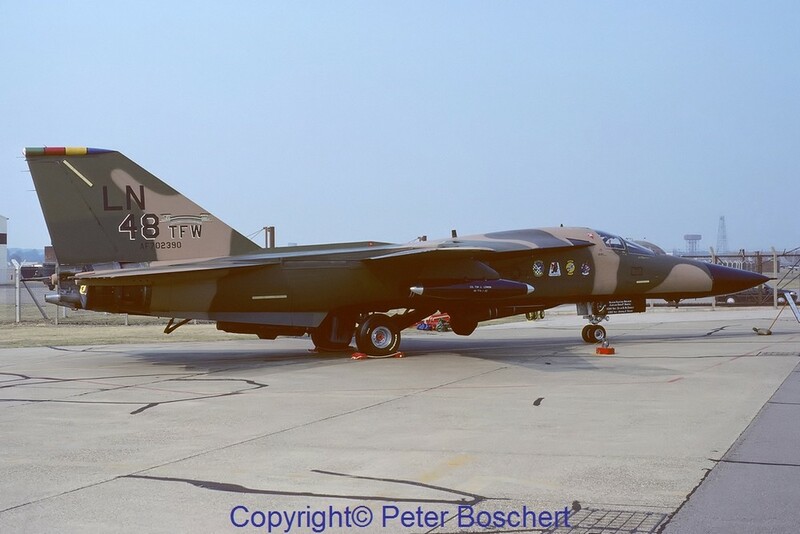 During Operation Desert Shield/Storm, the 20th TFW deployed 22 F-111E to Incirlik AB in Turkey. 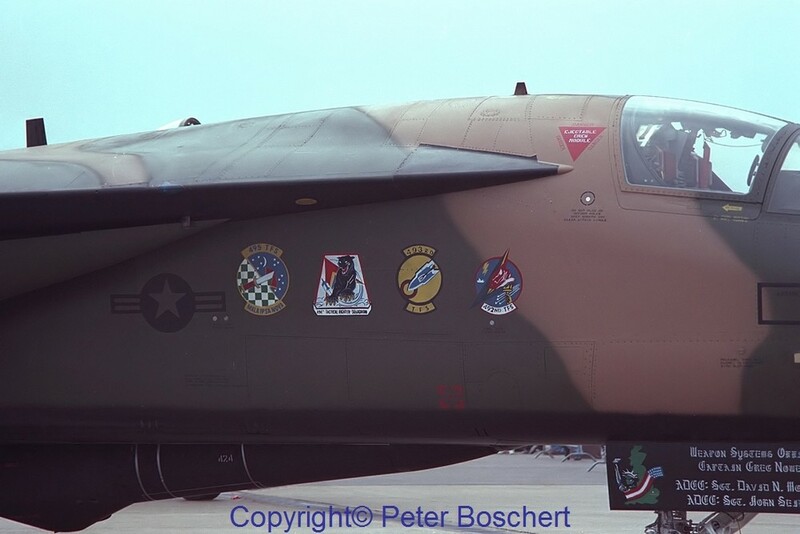 From there, the F-111Es flew 456 Combat sorties with 1727 Combat hours. Also some EF-111A Raven flew from Incirlik AB. 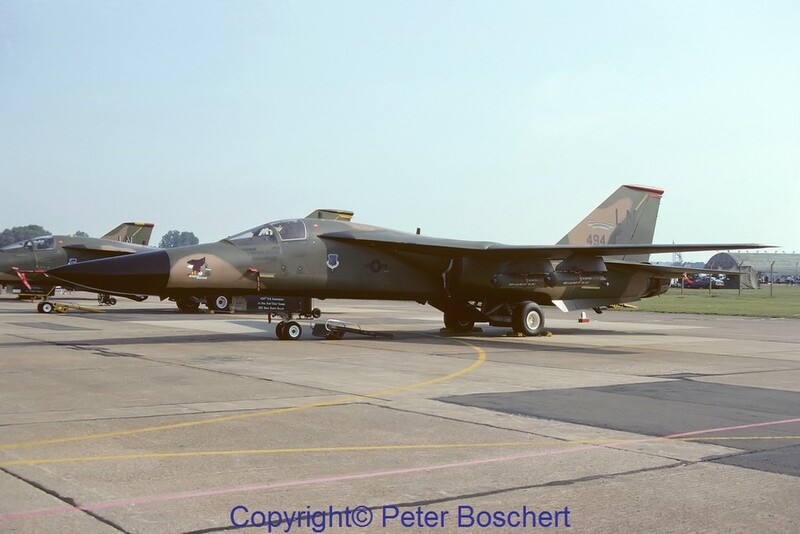 Shortly before the redeployment to the USA, some F-111E got the AMP modification, recognizable by the GPS antenna in front of the cockpit. They also received a black anti-glare painting in the expectation that they will be painted in the then usual grey. 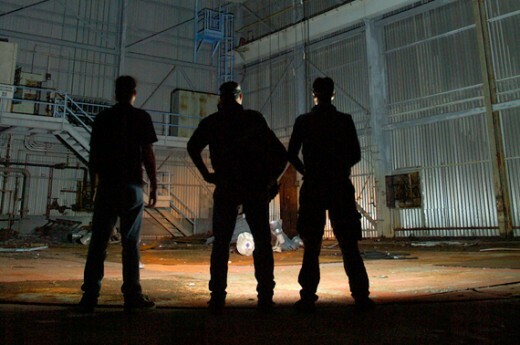 With the reduction of the USAFE, RAF Upper Heyford was one of the many bases to be closed. 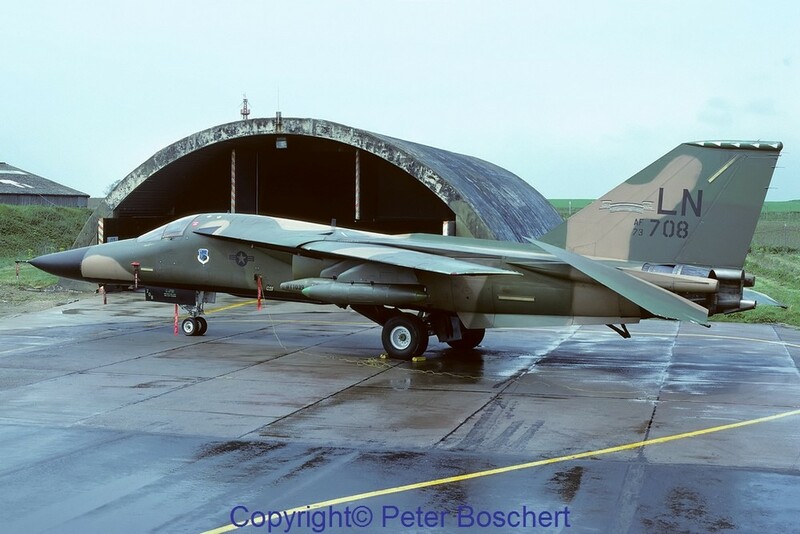 The 79th FS was deactivated as first unit (June 1993), then it was the 77th FS (October 1993), finally the 55th FS was the last squadron and on 07th December 1993, the last F-111E (68-0061) left RAF Upper Heyford with destination AMARG in Arizona. The newer “E’s” got the AMP modification and flew with the training squadron of the 27th FW at Cannon AFB, N.M.. 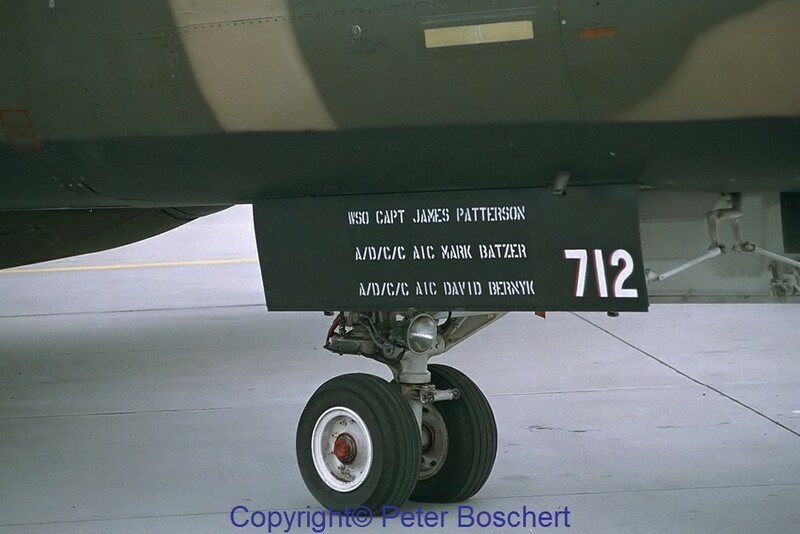 The 428th FS “Buccaneers” used them until the withdrawal 1995, afterward they were all sent to AMARG. 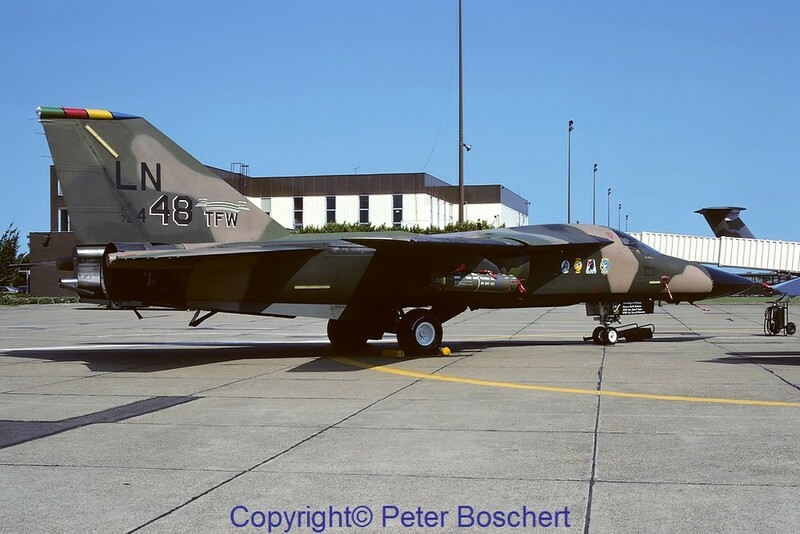 The first F-111F for the 48th TFW arrived from Mountain Home AFB, Id. 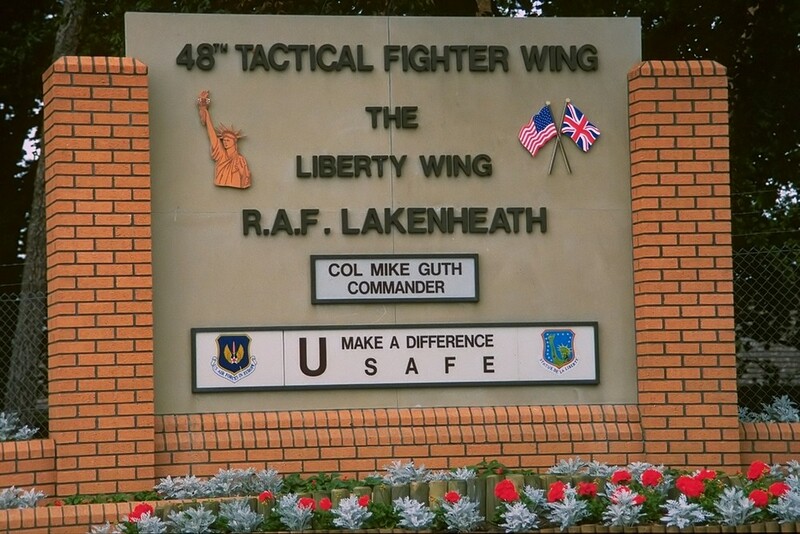 in 1977, where they were shortly in use with the 366th TFW. 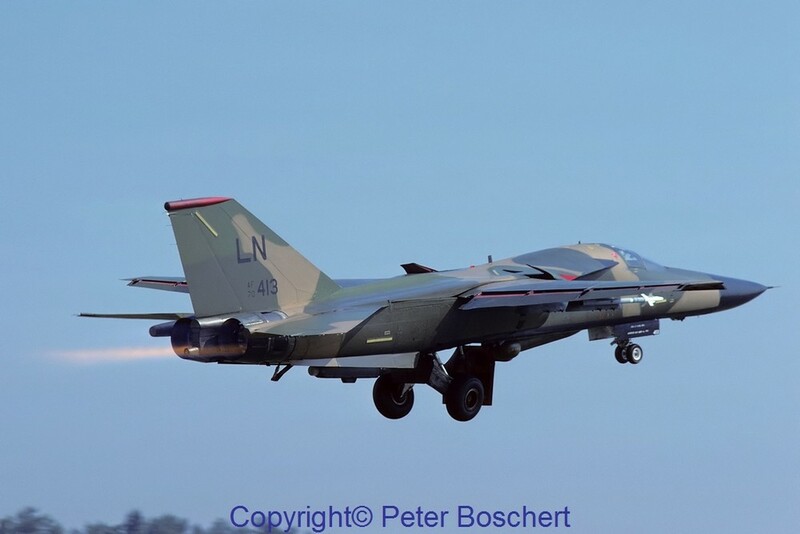 In the night from the 14th to the 15th April 1986, 24 F-111F took off from RAF Lakenheath, heading to Libya. 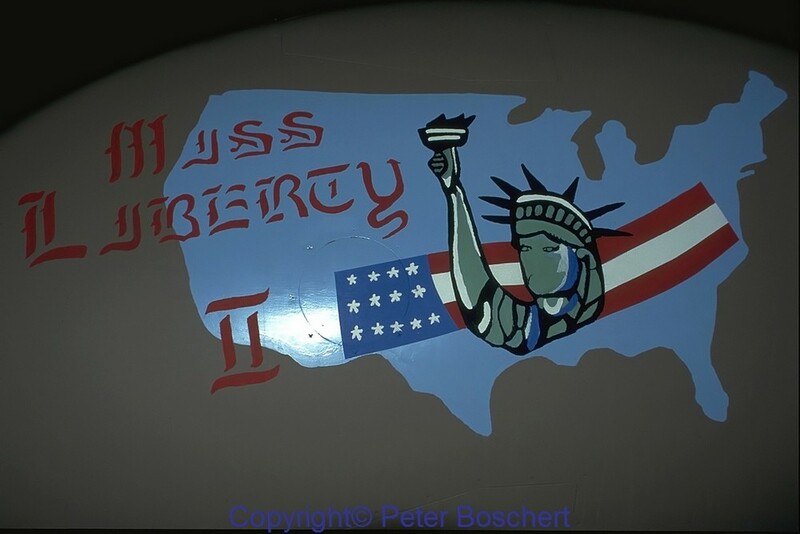 The first attack after the second WW of US bombers was the answer of various attacks against US citizens (cruise-ship Achille Lauro and the bombing of the discotheque La Belle in Berlin, Germany). 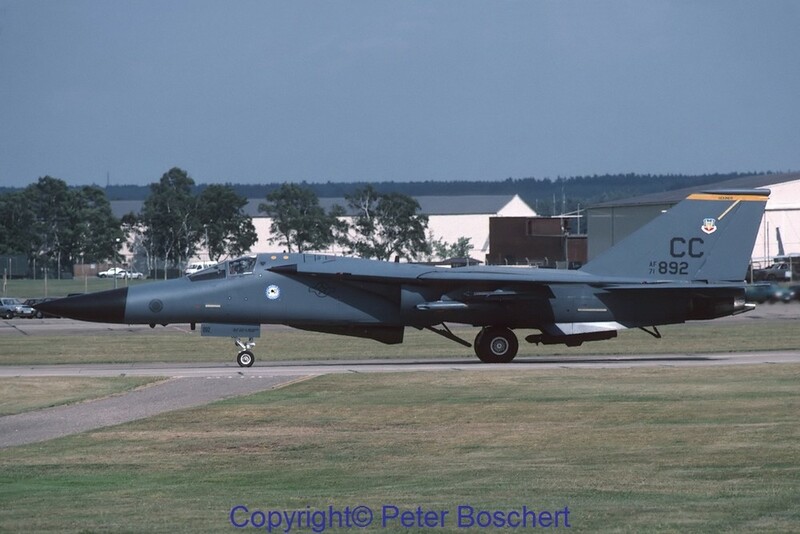 The raid was called Eldorado Canyon and the F-111F had various targets at Bengasi and Tripoli. 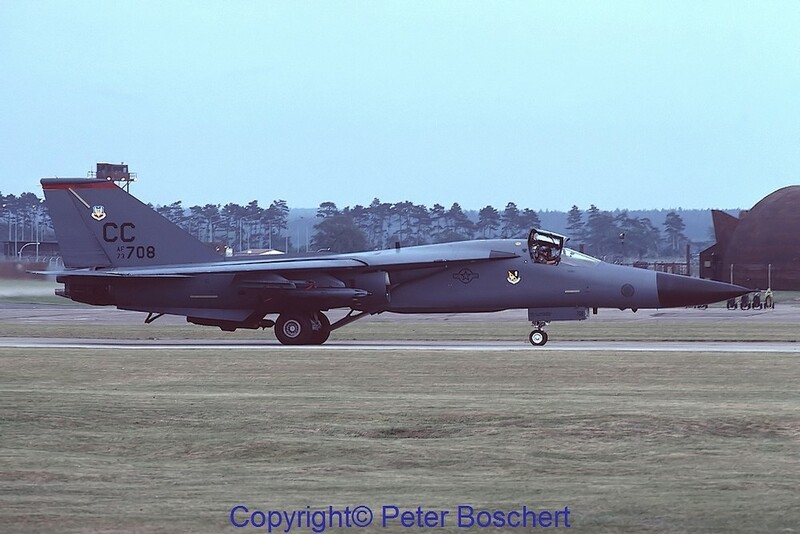 From RAF Upper Heyford 20 F-111E and 5 EF-111A took off, the F-111E were only back-up and returned to their base after it became clear, that the F-111Fs were on their way. It was a long flight to avoid the airspace of France and Spain which refused to open their airspace for the bombers. 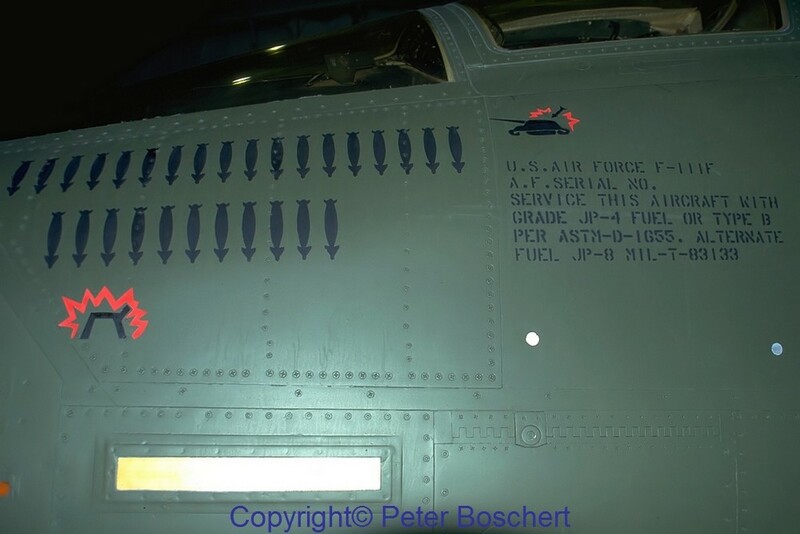 Of the 24 F-111Fs, six were spares which flew with the whole group until the 18 aircraft started their target runs. 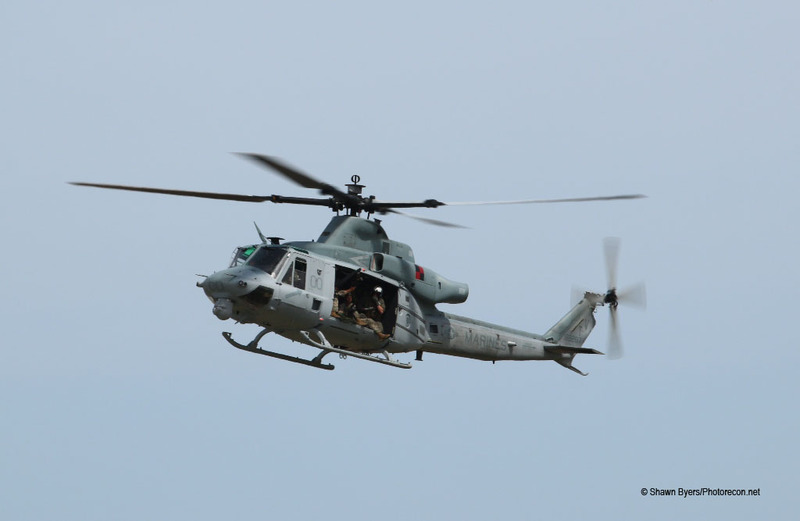 Unfortunately, one aircraft (70-2389 with callsign “Karma 52”) was lost, pilot Fernando Ribas-Dominicci and his weapons-officer Paul F. Lorence were killed. 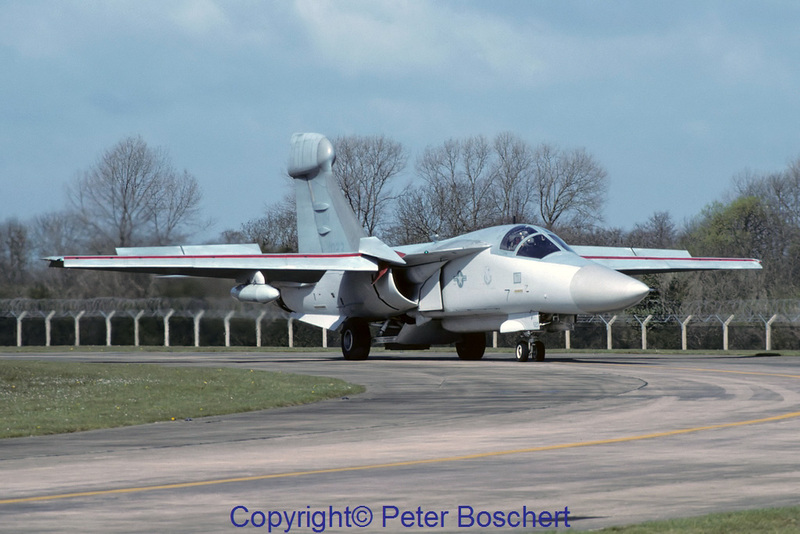 The F-111Fs from RAF Lakenheath deployed with 66 Aardvarks during Operation Desert Shield/Storm to Taif/Saudi-Arabia. 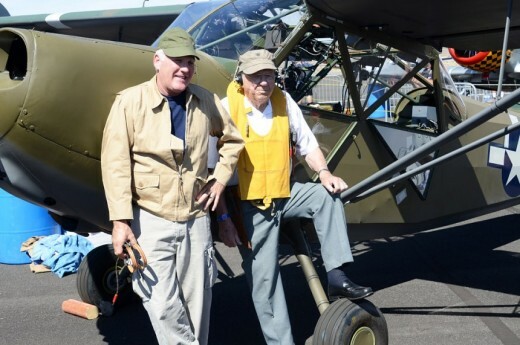 2500 combat sorties were flown, destroying 920 tanks and armored vehicles, 245 HASs, 113 bunkers and 160 bridges. 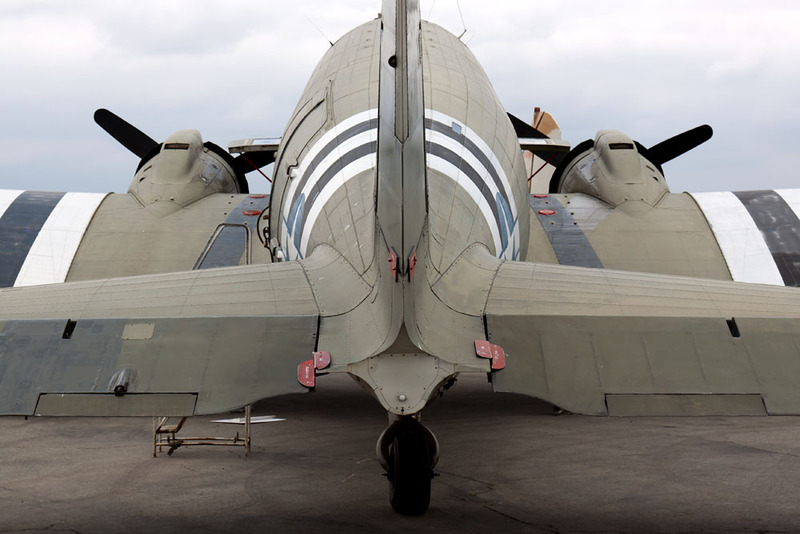 After the end of the Cold War, USAF reduced its number of aircraft worldwide. 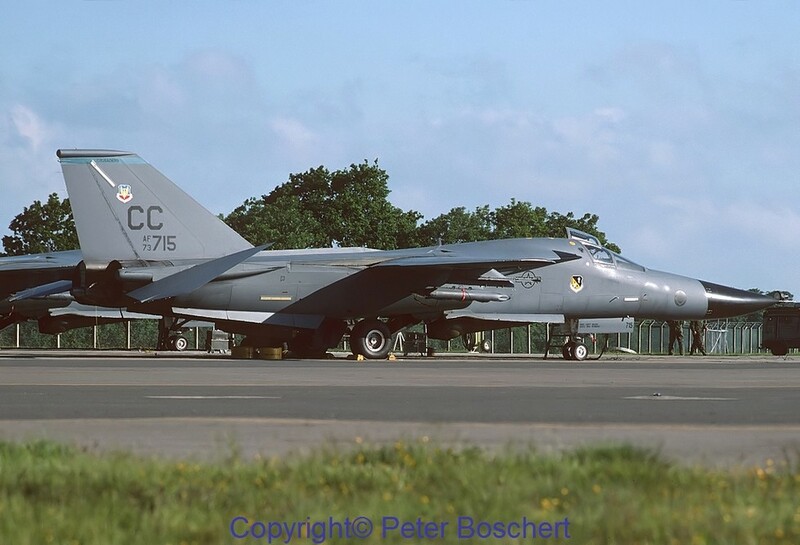 At RAF Lakenheath, the F-111Fs were replaced with the F-15E Strike Eagle. 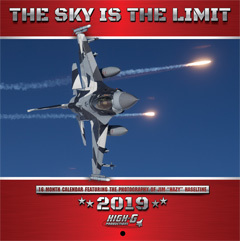 In 1991, the first squadron was disbanded, the 495th FS. 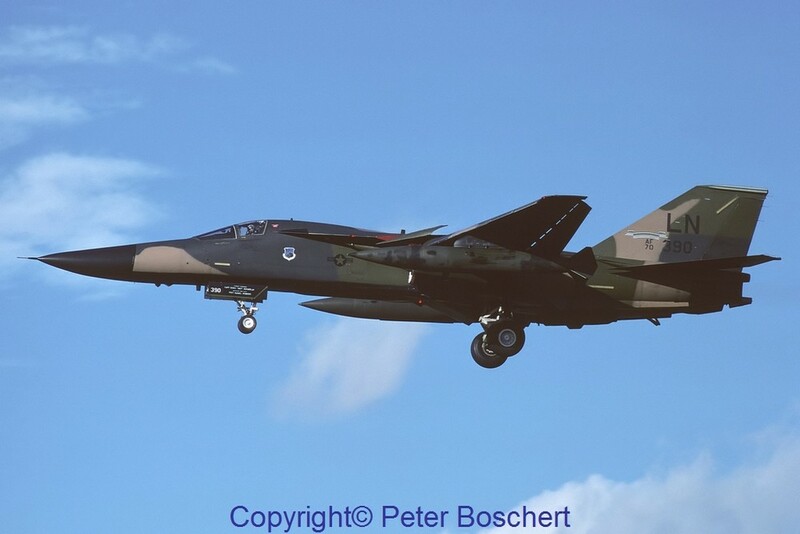 The last F-111F left RAF Lakenheath on 16th December 1992. But the Aardvarks returned occasionally to Europe. 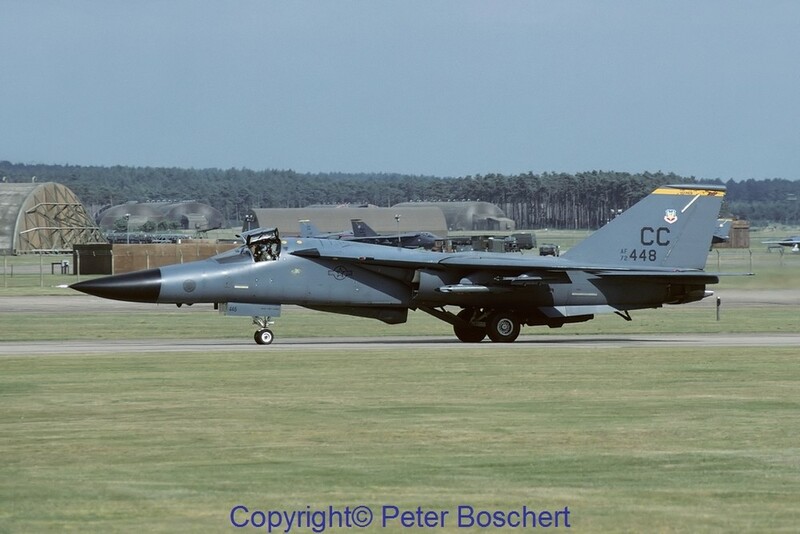 In 1992/1993, some of the 27th FW F-111Fs transited on their way to the Gulf through RAF Lakenheath (Operation Provide Comfort II saw the 524th FS in 1992, while in 1993 the 522nd FS was deployed). 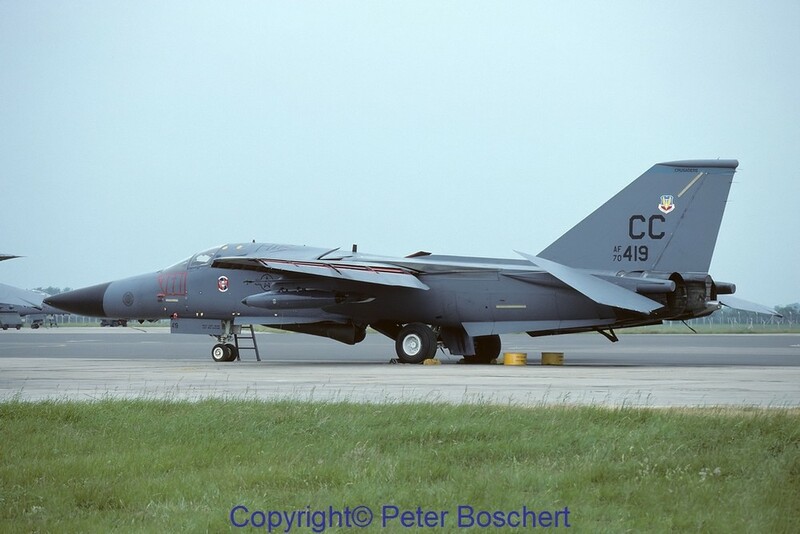 In June 1993, the 522nd FS deployed eight F-111F to RAF Lakenheath, followed by the 524th FS with eight F-111Fs in June 1994. 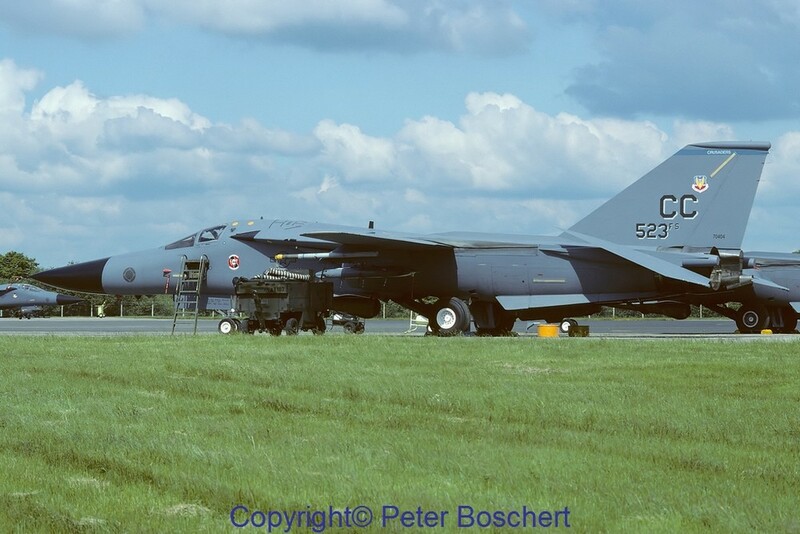 The final deployment to Europe involved again eight F-111F of the 523rd FS, this time they deployed to RAF Fairford. 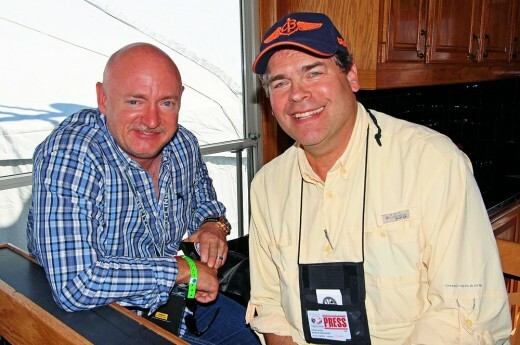 Each deployment was for exercise Central Enterprise. 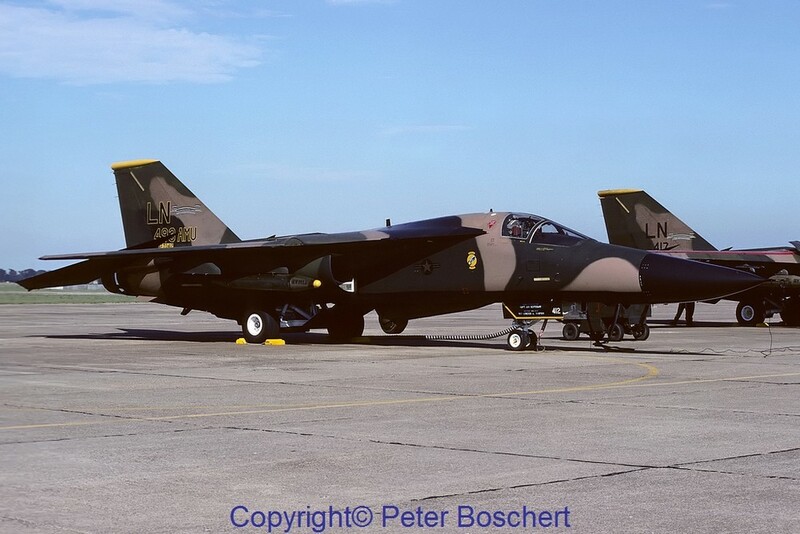 As mentioned, all F-111Fs were AMP modified and sent to the 27th FW. 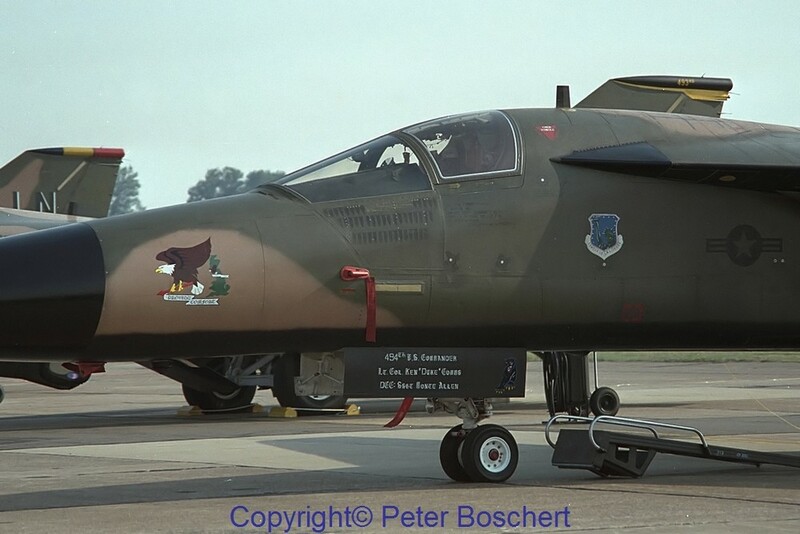 There they replaced the older F-111D with the 522nd/523rd and 524th FS. 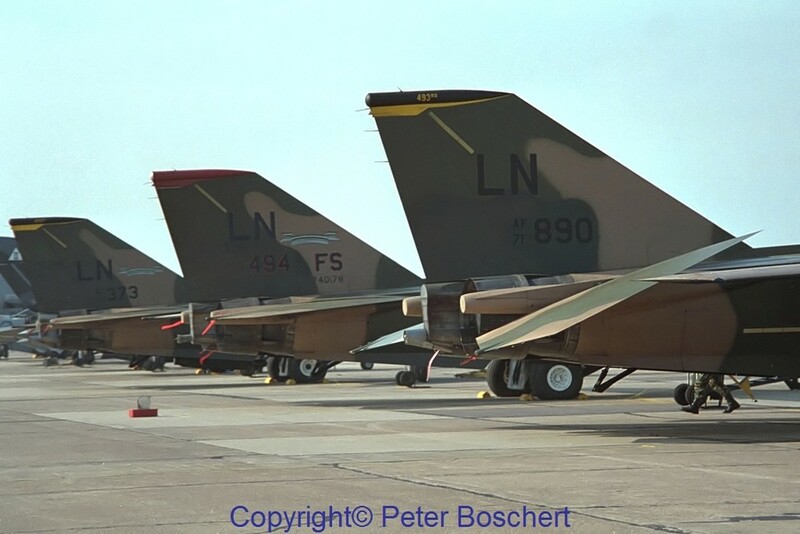 However, the last four F-111F (70-2362, 71-0888; 74-0178 and 74-0187) were withdrawn from use on 29th of July 1996 already.